The LEVO Combi is the world’s ultimate precision engineered full power standing wheelchairs providing the widest range of electric powered wheelchair positions. The LEVO Combi series of power standing wheelchairsgive you the capability to stand on your own, lie flat, tilt in space, sit, lift, recline and relax. 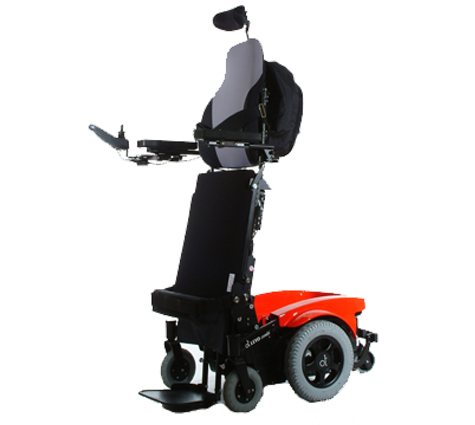 It is specifically designed for everyone who desires power mobility and multiple seating positions with the ability to stand again.